Lake Frome has to be one of my favourite places to visit. It is always a delight; every experience of her is different. The salt lake flows with water from time to time but only to a depth of about 6 inches (15 cms). The rainwaters from further north carry with them the various soil colours of the desert, sometimes sepia browns but often red ochre, yellow ochre and a mauve. 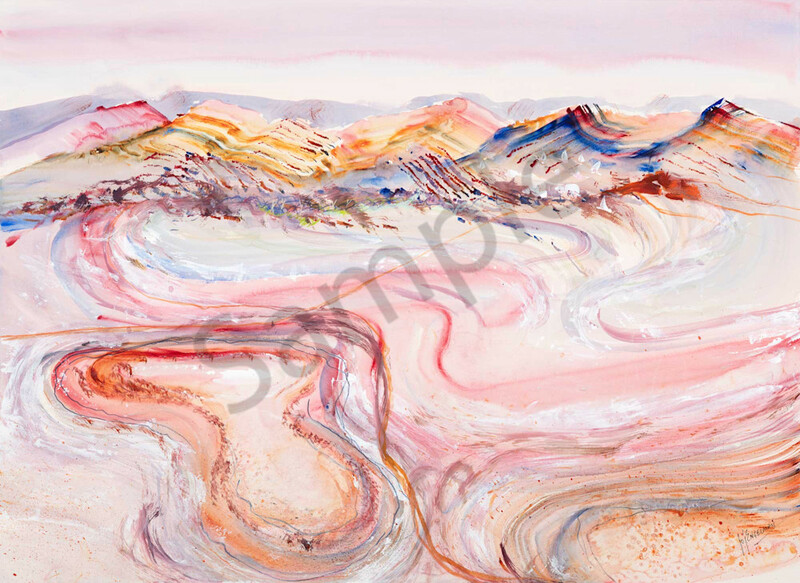 These flows create a swirl pattern across the land and the distant hills also contain these colours in layers within them. These soils are millions of years old and laid bare on our Australian desert.